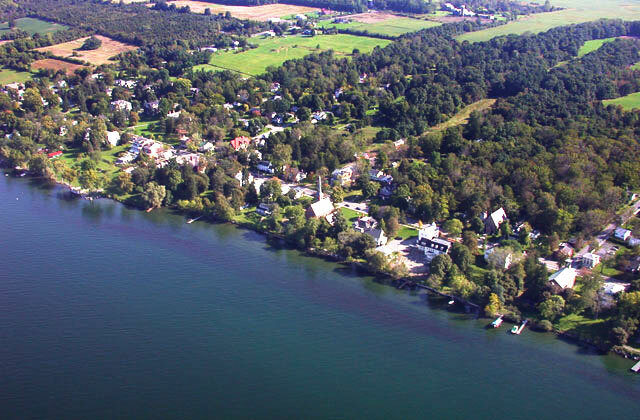 Aurora, established as a village about 1795 and incorporated in 1837, is located on the east side of Cayuga lake in the heart of the Finger Lakes region. Below you'll find a map to peruse and get directions. We look forward to your next visit! We're getting close. The new site will have information about meetings and permits, a calendar of events and you'll even be able to submit questions to the Mayor. Check back in September 2012! Happy Boating!. Thanks to all residents who have given us their email addresses in order to submit readings and receive their bills electronically. We encourage those who would like to join us in saving paper and postage to send an email address with their next payment. The addresses will be used only for meter reading and billing, and for a public emergency alert. 11:00 Saturday, January 1, 2010 Aurora Polar Plunge! New Year's Day! Dublin Hill Road extension to the lake, behind St. Patrick's. Zoning Board Meeting and Public Hearing, Variance for lighting and signs at the Old Post Office Building. © Village of Aurora Municipal Website.